All Locks And Doors provides professional locksmith and door services in Livermore CA and the surrounding San Francisco Bay Area. If you have any project or issue involving locks or doors, we can help you with it. We are family owned and operated and run our business as a joyous extension of our family. We take pride in our workmanship and enjoy helping clients with all their lock and door needs. At All Locks And Doors, we have over 15 years of experience in the locksmith, security, hardware and door industries. We are licensed, bonded and insured. We hold a California Contractor’s License (C-28) with the Contractors State Licensing Board for Locksmith and Security Systems (including door sales, servicing and installations) as well as a Locksmith License with the Bureau of Security and Investigative Services (BSIS). As our name implies, we at All Locks And Doors can help you with any and all of your lock and door needs in the Bay Area. 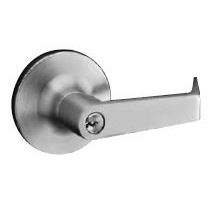 We are all about locks and doors; your openings expert. We provide quality locksmith and door services throughout the Livermore Valley (or Tri-Valley) and East Bay Area (including the cities of Livermore CA, Pleasanton CA, Dublin CA, San Ramon CA, Walnut Creek CA, and Concord CA). However, for commercial locksmith and door work and larger projects, we travel anywhere in the entire San Francisco Bay Area – from Tracy to San Jose, from Oakland to Menlo Park, From Santa Cruz to Berkeley. We sometimes even get called for projects in the greater Sacramento area. Please consider All Locks And Doors next time you are in need of locksmith or door services. We are your quality residential and commercial locksmith and commercial door specialists.